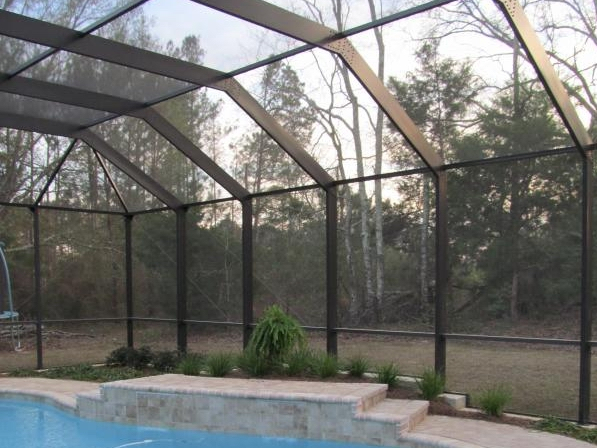 A premium screened pool enclosure from Hathcock Home Services allows you to enjoy your pool, spa or patio without the feeling of being enclosed in an indoor space. By enclosing your swimming pool area with a pool enclosure, your pool will stay cleaner, saving on pool cleaning products, allowing you more time to relax and enjoy your swimming pool, rather than spending all your time cleaning it. 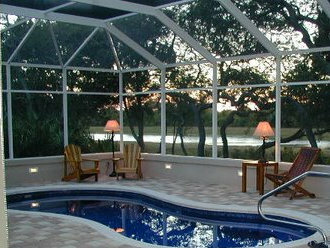 Our enclosures will also protect your family by reducing harmful UV rays. Choose between white or bronze. Gabled roof, mansard roof, or flat roof. Every screened pool enclosure we create is a custom, one of a kind design to meet your unique specifications, so call today to schedule a free, in-home consultation. At Hathcock Home Services, we build using premium fasteners. These fasteners feature plastic caps that protect the screw from the elements. This mean that the screw heads will never rust or discolor. 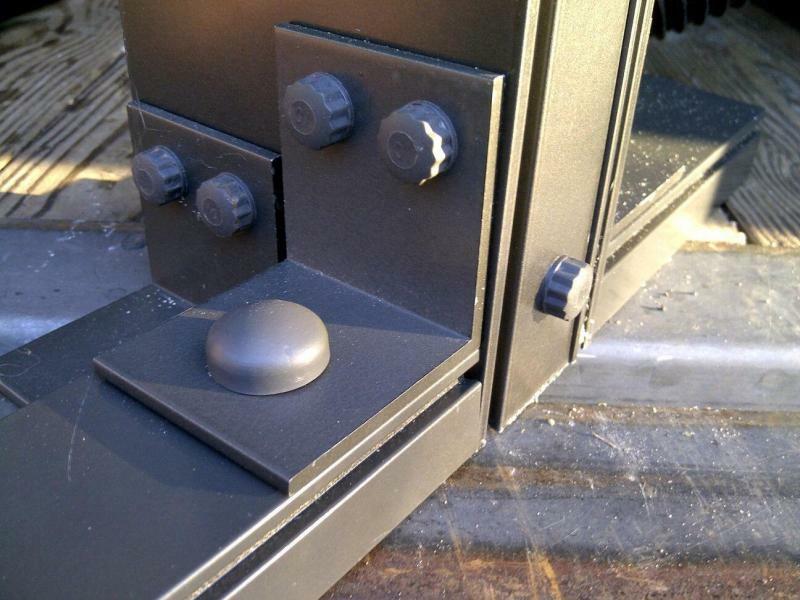 We are the only pool cage builder in the Wiregrass that use these fasteners. Our cable ties (added for strength against wind) are all stainless steel. To improve the looks of our cages, we use internal gusset plates. 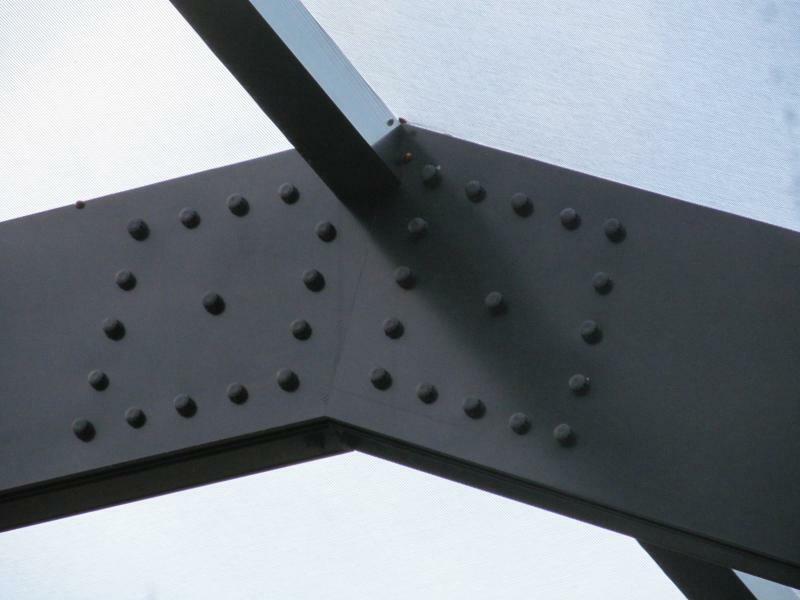 Most contractors use plates that mount to the outside of the beam which mean you'll have an unsightly eye-sore. Our plates are mounted internally meaning improved aesthetics. Choose between gable, mansard, and flat-top roof styles. 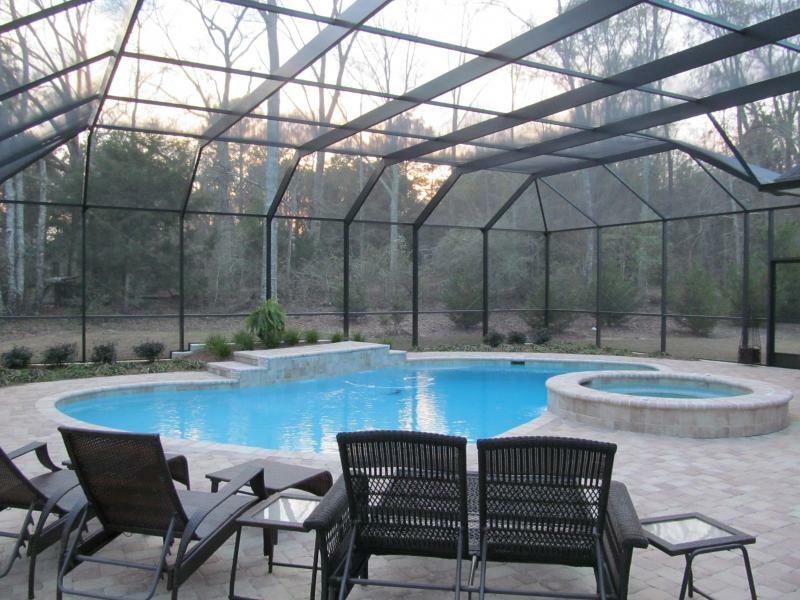 Hathcock Home Services installs custom screened pool cages for customers in Dothan, Ozark, Enterprise, and the surrounding southeast Alabama region. We also serve customers in parts of southwest Georgia and the northern Florida.